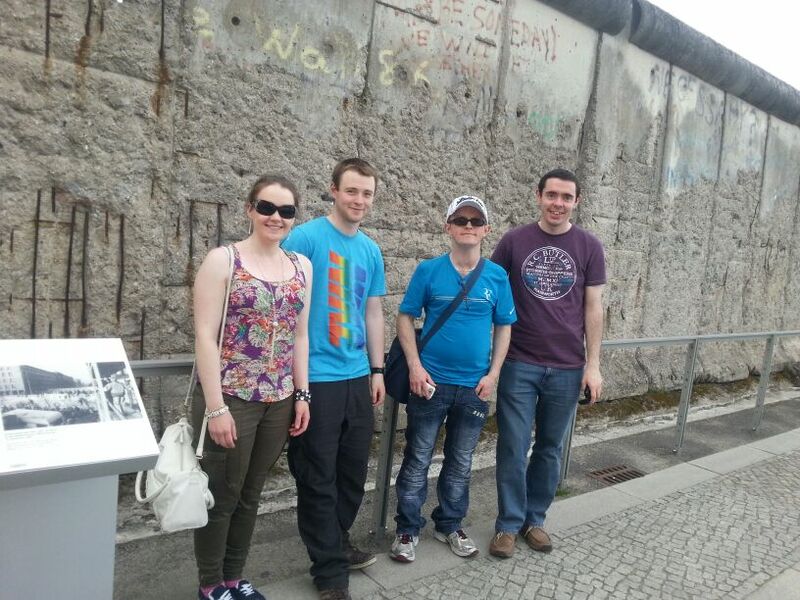 A group of second-year Heritage students and German students from Accounting and Finance and Outdoor Education programmes on the Mayo Campus of GMIT travelled to Berlin for a four-day study trip. 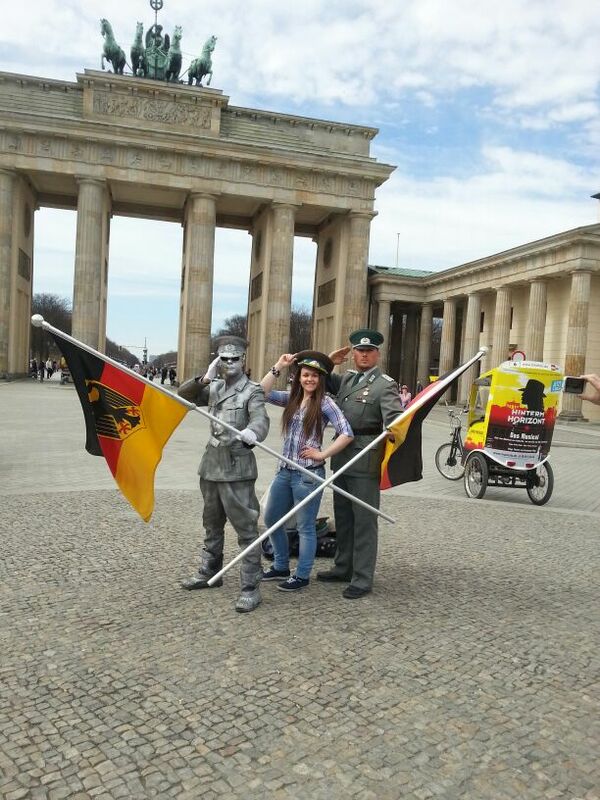 We scaled the heights of Berlin during our stay. 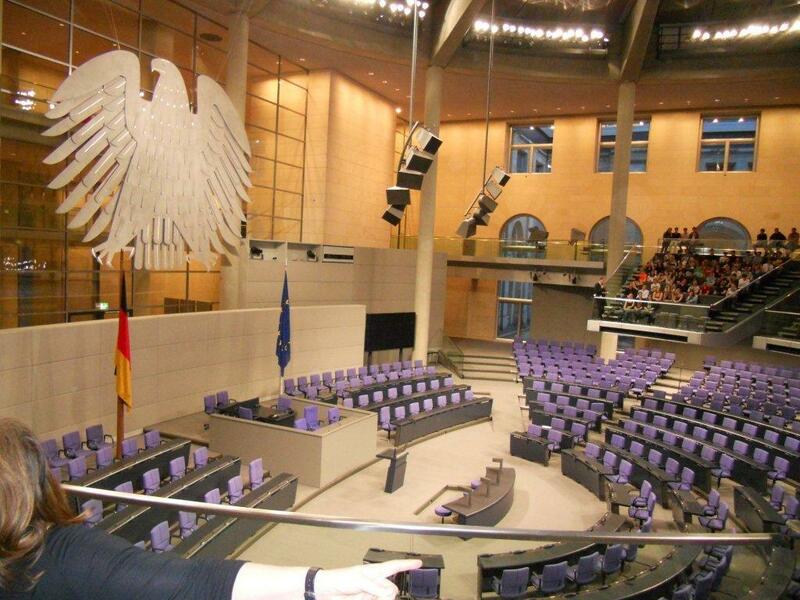 We went on a guided tour of the Bundestag on the first evening. The sun was setting as we were shown into the plenary chamber. 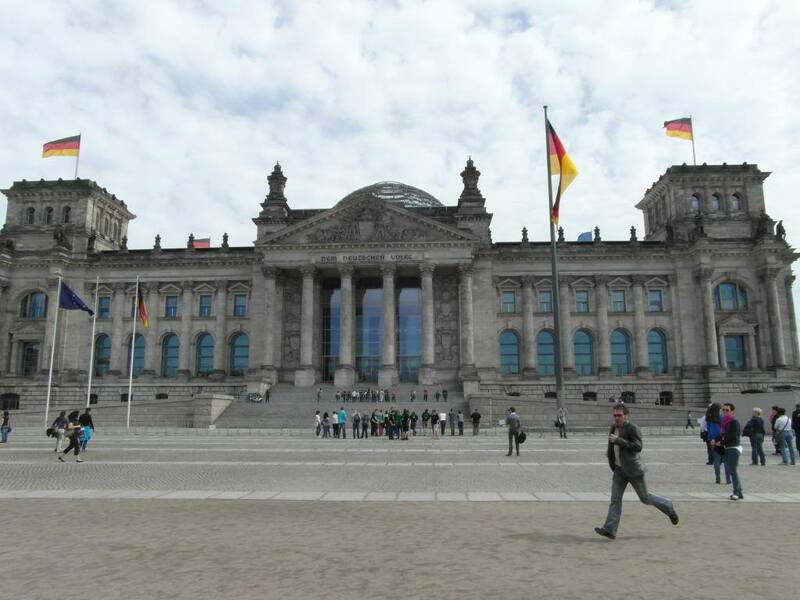 The English architect, Norman Foster, designed the Reichstag to reflect openness and democracy in its use of long and high open spaces and visibility from outside the building directly into the plenary chamber where all the elected members of the Bundestag sit on the same level. The chamber is also visible from above through a glass ceiling where visitors climb up inside the glass cupola on the roof; the thrilling culmination of our tour. Another day we went up the television tower on Alexanderplatz, the centre of the former East Berlin, and breakfasted in the rotating restaurant watching the city slide past. The German students chose instead to go up in a hot air balloon for views over the city and also to ascend the fastest elevator in Europe at Potsdamer Platz to a height of 100m. On another outing we sat in the top-floor canteen of a department store looking out at people moving like ants, but slowly, across Alexanderplatz. Berlin is also a city of lows. While the Jewish Museum documents the role of Jews within German society over the past 1000 years, the holocaust is also remembered. The zigzag structure of the building was designed to be disorienting and includes voids designed to represent Jewish families missing in the community. We were moved by an installation piece comprising 10,000 discs of crudely-crafted metal discs, two or three deep, representing skulls. You were invited to walk across them, the resulting metallic sound drawing visitors in. 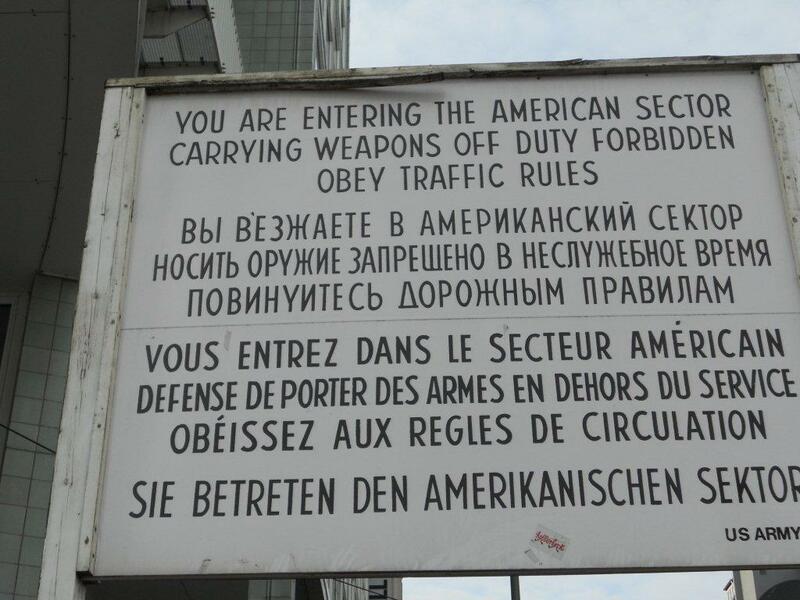 The students also visited the museum at Checkpoint Charlie, the former crossing point for foreigners into the former East Berlin. The museum documents attempted escapes into the former West Germany, with some 136 East Germans losing their lives as a result. A few students visited the former concentration camp at Sachsenhausen where they were given a four-hour tour from a guide who started the tour by walking them to the entrance exactly as its former inmates would have arrived. 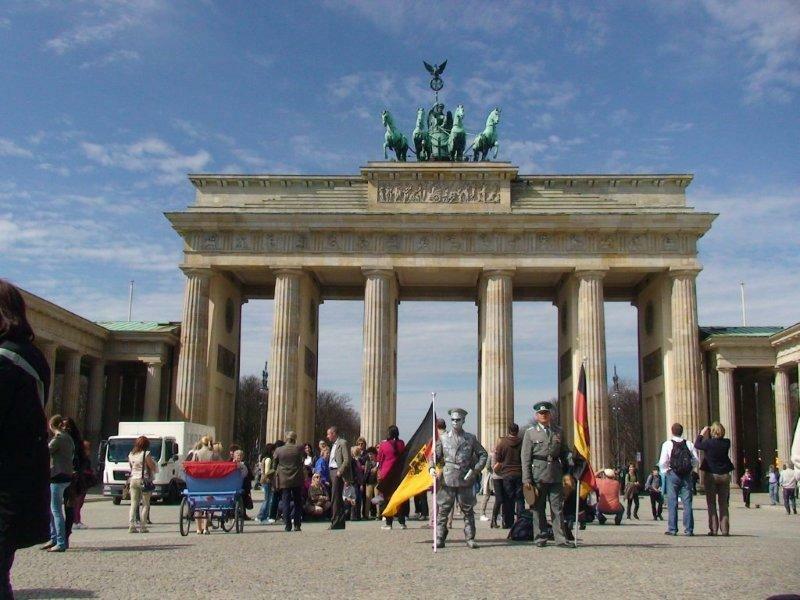 The Brandenburg Gate (former city gate) was a focal point for the visit and the students were interested to locate sections of the Berlin wall still in existence, in particular the colourful display of East Side Gallery, a 1.3km stretch of wall painted by local and international artists in 1990 and recently restored to commemorate the 20th anniversary of the fall of the Berlin wall in November 2009. The trip was of great value to both groups of students. 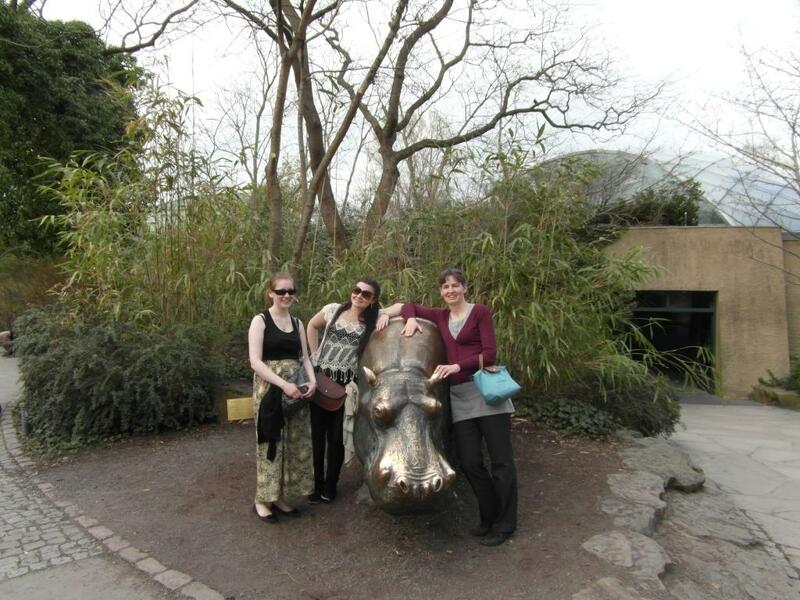 Anne McGovern (third year student of French) said a week after returning "... it was so stimulating I'm still reading the guide book". Deirdre King (second year Heritage) was fascinated if moved by the Topography of Terror, based on the site of a former headquarters of the SS and police state and documenting aspects of the Nazi reign of terror. For Craig Hill (first year Outdoor Education) a highlight of the visit was taking a long walk on the last morning and striking up conversation (in German) with Berliners.